Get the one that started it all with the Vans Classic Slip On. This slip-on women's skate shoe features a leather upper with a padded collar for comfort and dual elastic side goring for slip-on ease. Cotton drill lining provides breathability, and a die-cut EVA insole adds cushion and comfort. The vulcanized sole attachment delivers that classic sneaker look, while the gum rubber outsole proudly boasts Vans' signature waffle tread. 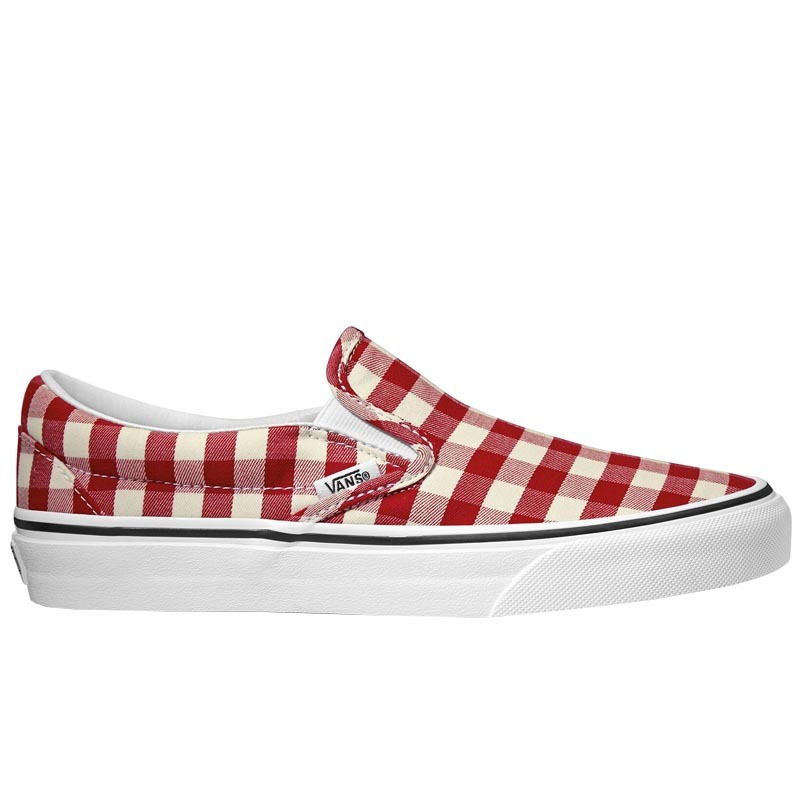 Slip into the original style of the Vans Classic Slip-On.